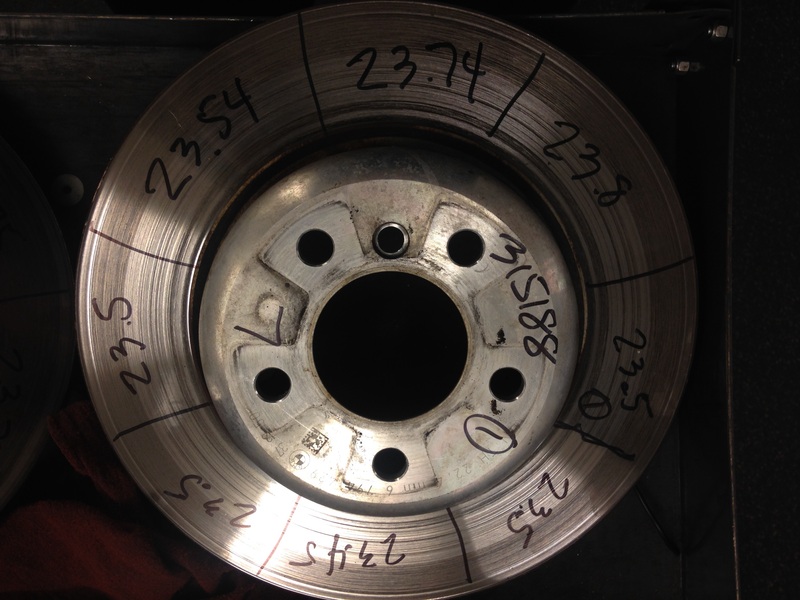 Some of you have asked me about brake shimmy,,,these are front brake rotors on a F10,,,BMW has use measure the brake rotors in 8 different places. You can see the one brake rotor almost all the measurements are the same,,,and on the other one you can see a .4 difference of thickness,,,,,that is enough to cause a brake shimmy while braking,,,,and it only takes one brake rotor to be warpped.,,,,BMW doesn’t have use turn brake rotors yet,,,,and I mean yet,,,,there is word BMW is thinking about having us turn brake rotors in the future. 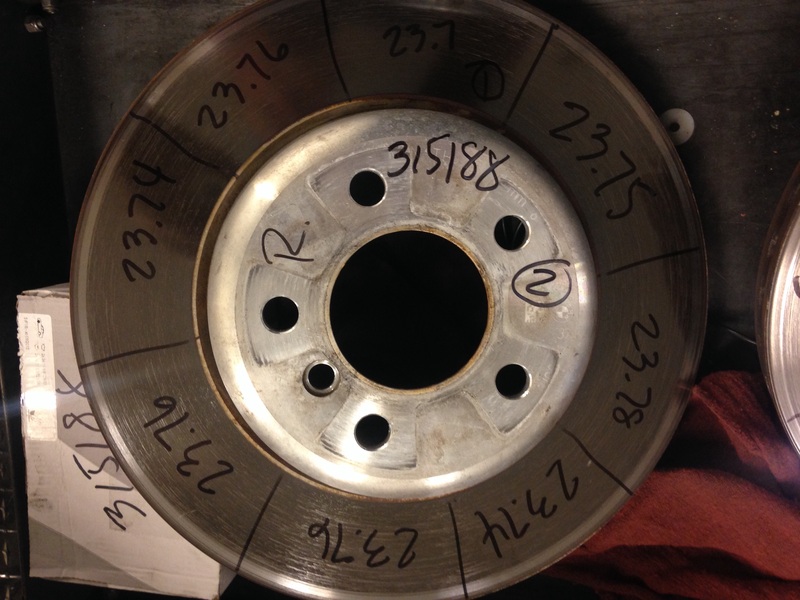 This entry was posted in Uncategorized and tagged brake rotor, F10, warpped. Bookmark the permalink. Thanks for the information. So this warped rotor is not covered under the original or CPO warranty? BMW Company give 4 years warranty for this brake rotor. In the given picture almost all the measurements are same. The only difference I can see in thickness that helps in breaking.